US Domestic stock funds have been outperforming the international stock funds. 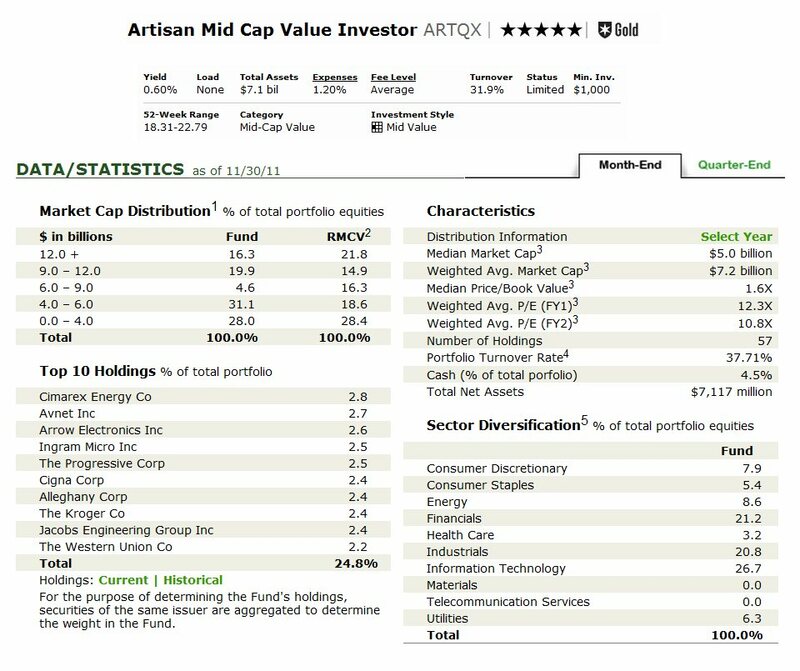 One of the top rated US stock funds is Artisan Mid Cap Value fund. This best equity fund invests in medium sized US companies. Details fund review can be found below. The investment objective of Artisan Mid Cap Value fund is to seek maximum long-term capital growth. This Artisan equity fund invests mainly in medium-sized U.S. companies. This means the company has a market capitalization greater than the market capitalization of the smallest company in the Russell Midcap Index and < 3 times the weighted average market capitalization of companies in that index. This best rated US stock fund is managed by James C Kieffer since 2001. Kieffer is the managing director of Artisan and portfolio co-manager for Artisan Small Cap Value fund. The other fund’s co-managers are Scott C Satterwhite, and George O Setl Jr. It currently has a yield of 0.60%. The last dividend was paid on December 2010 ($0.25). This top stock fund has an expense ratio of 1.20%. This expense ratio fee is slightly lower than category average which is 1.31%. The turnover rate is 32%. The total fund’s assets are $7.1 Billion. Investor can buy this top performer equity mutual fund from 91 brokerages such as Northwestern Mutual, LPL SAM Eligible, Fidelity Retail NTF, Schwab, Ameriprise, and more. The minimum initial investment of this top US stock fund is $1,000 for regular brokerage account. Details for IRA or tax deferred account can be checked through your own brokerage. As of October 2011, the top 5 major market sectors include Industrials (24.78%), Financial Services (21.82%), Technology (18.4%), Utilities (8.19%), and Consumer Cyclical (7.5%). The top 10 stock holdings are Cimarex Energy Co, Avnet Inc, Arrow Electronics Inc, Ingram Micro Inc, The Progressive Corp, Cigna Corp, Alleghany Corp, The Kroger Co, Jacobs Engineering Group Inc, and The Western Union Co. There are a total of 57 stocks in its holding. 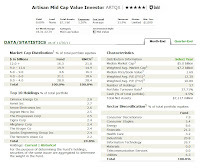 According to the fund’s prospectus, the principal investment strategies involve choosing attractive valuation, using sound financial condition, selecting attractive business economics, finding specific characteristics (including turnarounds story, transition companies, hidden assets and unrecognized companies, and earning shortfalls). The investment risks are: stock market risks, mid-size company risks, value investing risk, management risks, etc.